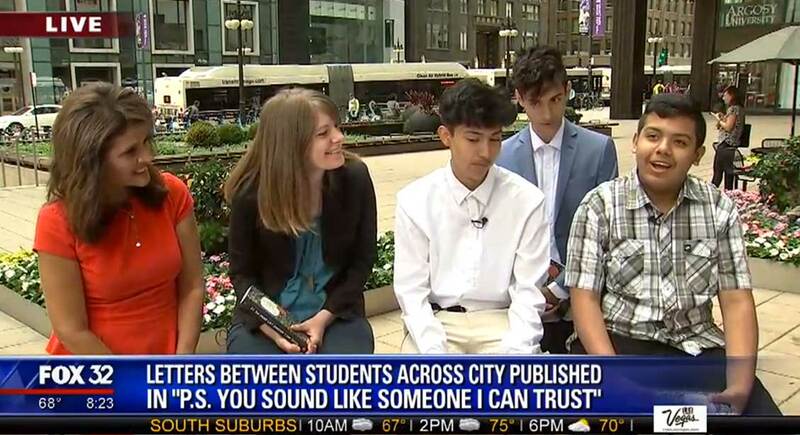 Did you catch our students on Fox 32 Chicago’s morning news this week? Watch three letter-writers from our new book P.S. You Sound Like Someone I Can Trust AND our Executive Director Kendra Curry-Khanna in this clip, and purchase your very own copy of the book at the Wicker Park Secret Agent Supply Co.